Zitahli Resorts and Spa Kuda-Funafaru is a 5 star deluxe property located on the idyllic Noonu Atoll, on the northern part of Maldives. All guests are greeted and escorted to the exclusive Zitahli Lounge to await a scenic 40 minute flight over breathtaking azure water. This intimate un-spoilt island is the perfect escape for anyone seeking privacy and pure indulgence. Moonlight walks, private dinners on the beach or romantic picnics on surrounding deserted islands, Kuda-Funafaru welcomes you and promises you will be back. 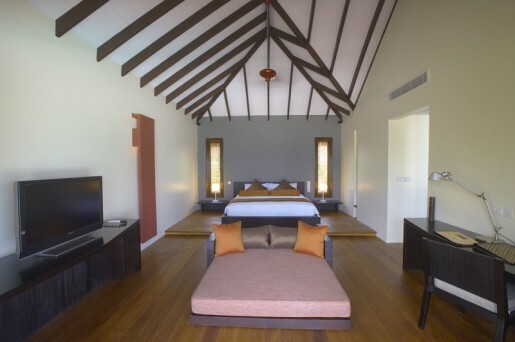 Spacious and luxurious accommodation on Zitahli Resorts and Spa Kuda-Funafaru is comprised of 50 exclusive villas, 30 of which give all appearance that they float on the idyllic waters surrounding the island. The remaining 20 are nestled amongst the natural landscape. All super deluxe beach villas and super deluxe aqua villas are equipped with private plunge pools. It is with this philosophy in mind, and the passion of a dedicated team Zitahli Resorts and Spa Kuda-Funafaru provide a decadent array of organic therapies in opulent pavilion style treatment rooms, complete with plunge pools, herbal baths and luxurious relaxation lounges. Dedicated to a holistic approach to health and well-being, guests will take delight in the spa menu selections and the special attention to individual needs. A combination of herb infused skincare and body specific therapies result in a perfect mind and soul balance.